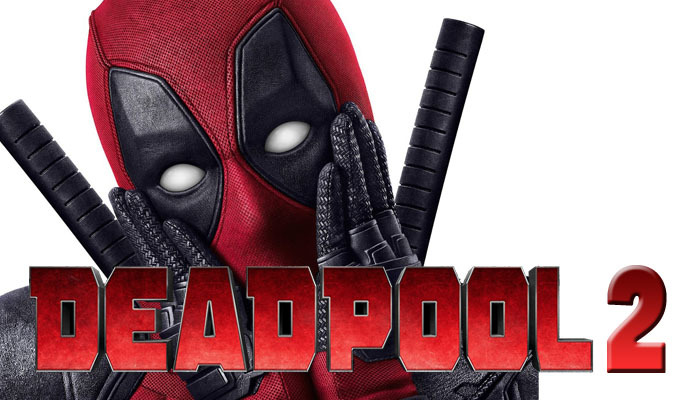 2016’s Deadpool took Hollywood super-hero movies to a whole new level! Before Deadpool, studios were extremely hesitant to invest millions of dollars into a rated R movie about comic book characters, with 2009’s The Watchmen being the rare exception. Ryan Reynolds even referenced this in the original movie when Deadpool arrived at the X-Men mansion by pointing out that in the entire mansion, we only see 2 X-Men. We have already seen the teaser for Deadpool 2 ,where the ‘Merc with the Mouth’ failed to save an elderly man from a mugger, and a picture of the mutant Domino (which was received with mixed reviews). Now we are treated with a couple new sweet looking pics of Josh Brolin’s Cable! First we have the headshot that was originally posted on Ryan Reynolds Instagram feed. Why are we “shhh-ing”? What’s the secret? I love the true to source material detail! The star shaped scar over one eye and the other glowing eye are well done! Cable creator Rob Liefeld followed up with a waist up shot on his Instagram feed as well. In the waist up photo, we can see the detailed bionic arm and the chest harness loaded with ammo clips and poaches (a staple on any comic book character from the 1990’s). Most interesting is the battle worn teddy bear attached to his belt. Could this be a nod to a Hope Summers appearance in Deadpool 2? As a father, I would love to see the pseudo father-daughter relationship between Cable and Hope on the big screen! Deadpool 2 currently has a release date of June 1st, 2018. Shop for Deadpool merchandise on Amazon.com! Next Want To Watch A Lego V8 Engine Blow At High RPM's?